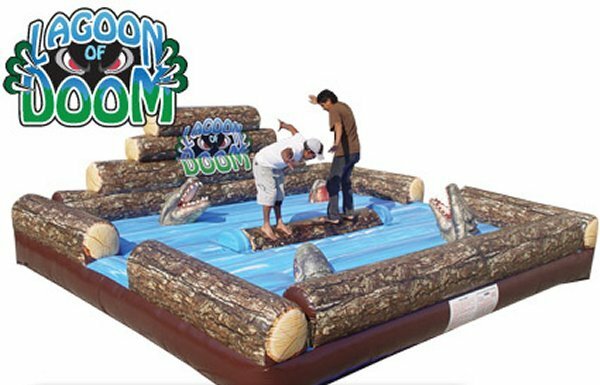 Lagoon of Doom will be sure to have your guests rolling with laughter and for their LIFE! Climb onto the padded log in the middle of the lagoon with crocks everywhere! Don't fall off! Who can keep up and who can throw the other person off balance to become a part of the crock's diet. This game measures 19' x 16' and 7.5' tall.